Carbetocine belongs to the pharmacotherapeutic group of Oxytocin and related analogues. The pharmacological and clinical properties of carbetocin are those of a long acting oxytocin agonist. Carbetocina GP-PHARM is indicated for the prevention of uterine atony following delivery of the infant by caesarean section under epidural or spinal anaesthesia. 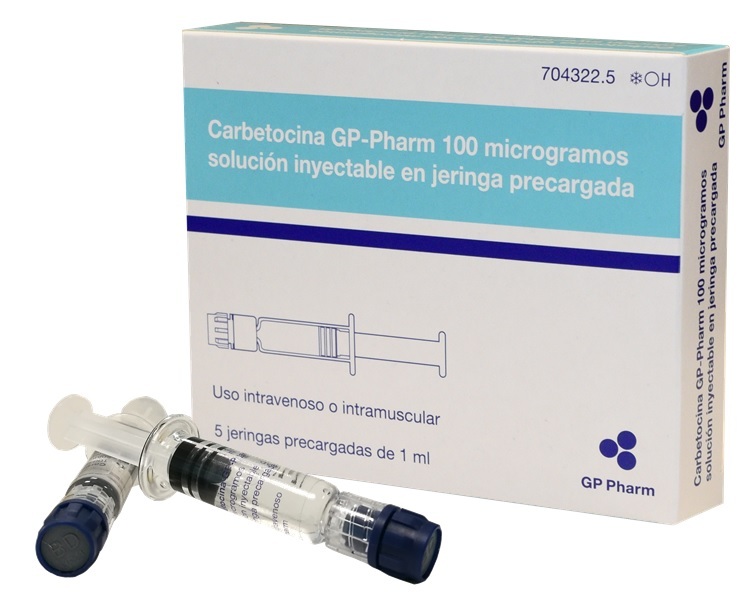 Carbetocina GP-Pharm is presented as a 1 mL solution for injection in a pre-filled syringe (Type I glass) in pack sizes of 5 pre-filled syringes.